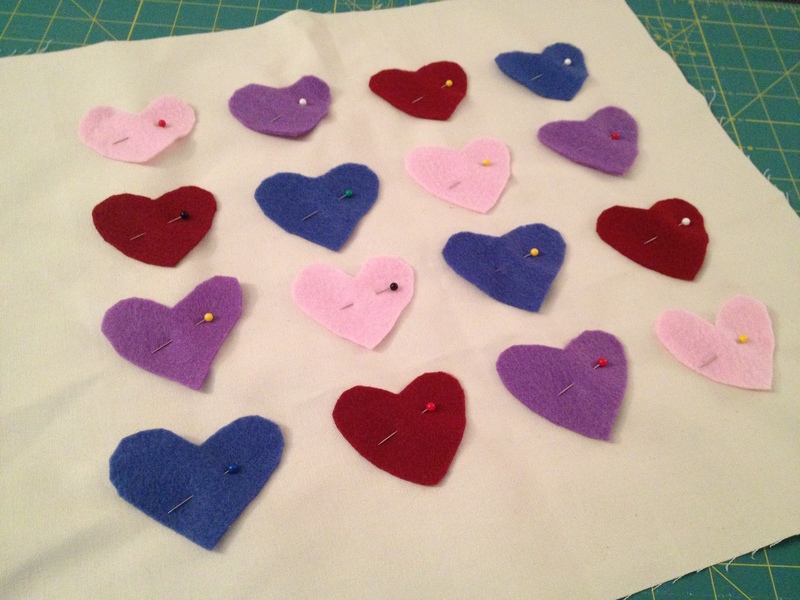 With Valentine’s Day right around the corner, I decided to make a few heart-inspired gifts for you love bugs. But let’s face it, I don’t need a holiday to embrace my adoration for hearts. I’m probably going to use the pillow all-year-round. 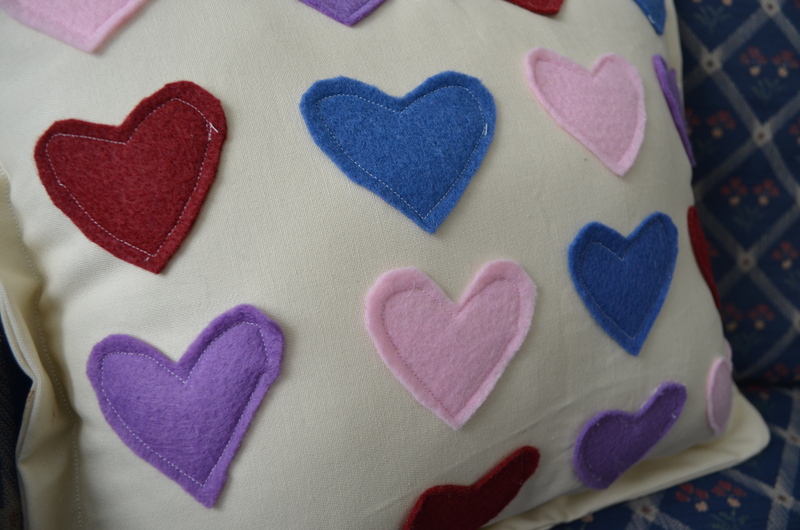 Felt is the best fabric for this type of project because it does not fray. 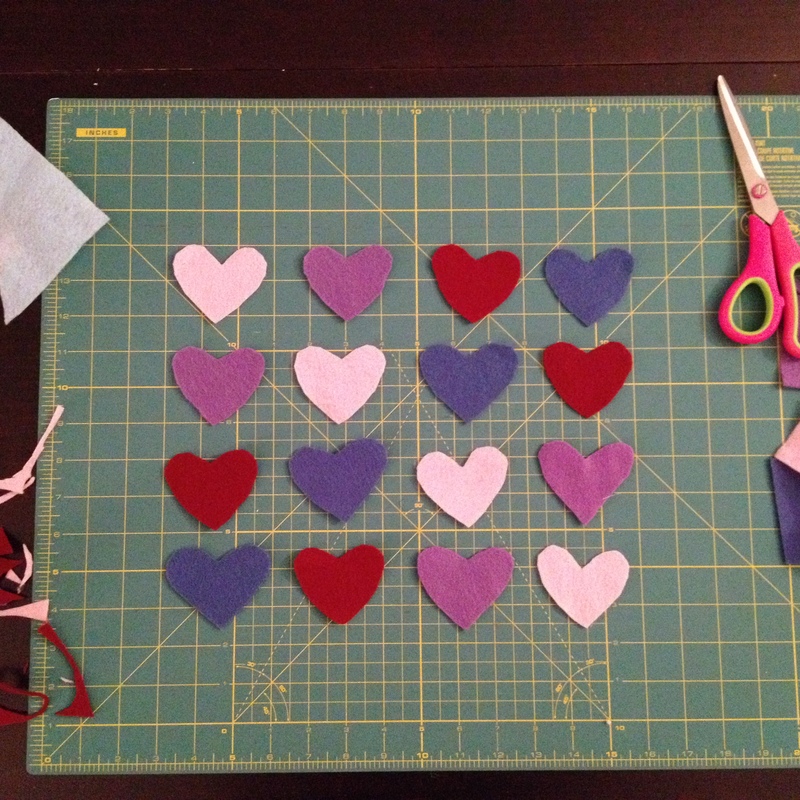 I cut the hearts out using the method my elementary school teacher used to teach me about symmetry, and I simply used the first heart as a template for the rest. 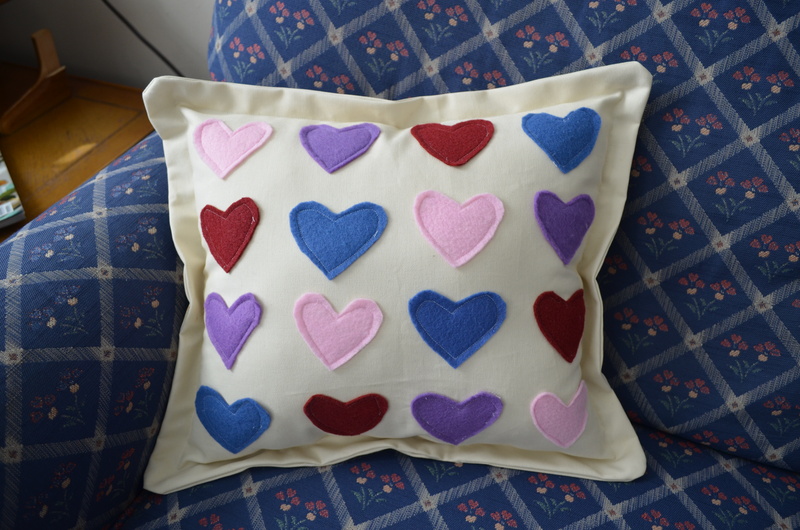 I love a pillow with piping, but for this pillow, I felt like it needed a little ruffle. So after sewing the pillow together (right side together), I flipped the pillow (rights sides out) and ironed it. 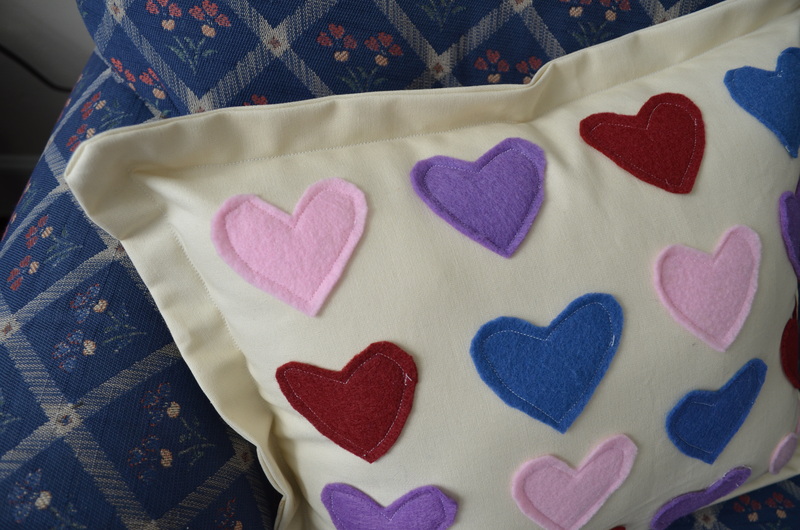 I then stitched a half-inch border, leaving the same size hole for stuffing the pillow. Next, I stuffed the pillow using a polyfill pillow stuffing, and used my sewing machine to close the hole of the inside border stitch. I used a blind stitch the close up the outside. It took me a little over an hour to put this pillow together. 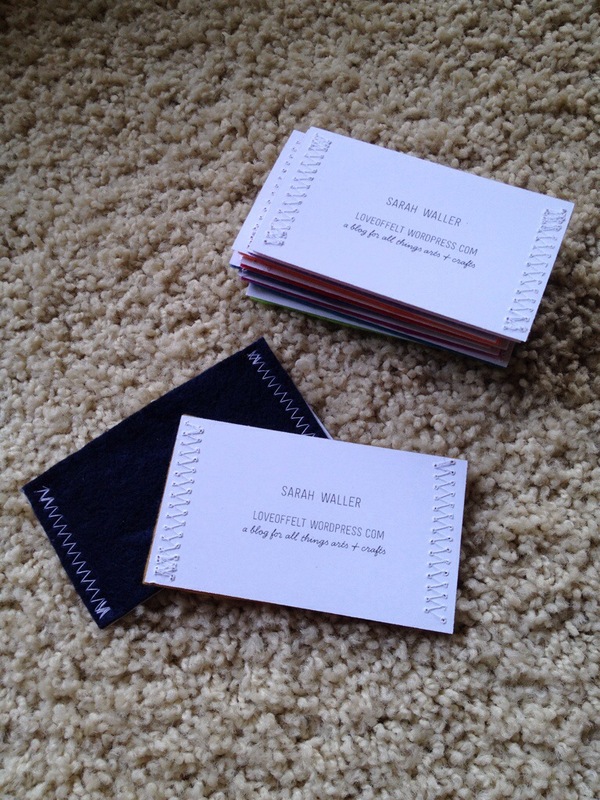 And now it’s on sale over at the Etsy shop.